Air Botswana to operate daily flights between Maun <> Johannesburg! Botswana's state-owned national flag carrier, Air Botswana, is set to introduce a new service on Wednesdays between Maun Airport (MUB) in Maun and OR Tambo International Airport (JNB) in Johannesburg on 01 July 2016. The additional flight brings the service to daily. Precision Air to resume flights to the Comoros! Precision Air, a Tanzanian airline based at Julius Nyerere International Airport (DAR) in Dar es Salaam (Tanzania), is set to resume operations between its main hub in Tanzania's capital and Prince Said Ibrahim International Airport (HAH) in Hahaya in the Comoros on 16 August 2016. The airline will operate three flights per week on Tuesdays, Thursdays and Saturdays between the two destinations. A strategy review, which also involved route rationalisation, lead to the suspenstion of Precision Air's flights to the Comoros in 2014. Prince Said Ibrahim International Airport (HAH) will be the airline's second regional destination after Jomo Kenyatta International Airport (NBO) in Nairobi. Tanzania: Auric Air to reinstate flights between Mwanza <> Kigoma! Auric Air Services, a privately owned airline based in Mwanza, Tanzania, is set to reinstate direct flights between Mwanza Airport (MWZ) in Mwanza and Kigoma Airport (TKQ) in Kigoma on 09 July 2016. The airline will operate three flights per week on Tuesdays, Thursdays and Saturdays on board a Cessna 208B Grand Caravan. Flights are open for bookings! On 01 June 2016, Auric Air Services launched flights to the famous Selous Game Reserve. Flights operate from Dar es Salaam's Julius Nyerere International Airport (DAR) to Selous (Mtemere Airstrip) and from Abeid Amani Karume International Airport (ZNZ) on Zanzibar to Selous (Mtemere Airstrip). LAM - Mozambique Airlines introduces flights between Maputo <> Harare! The flag carrier of Mozambique, LAM - Mozambique Airlines, introduced scheduled service between Beira Airport (BEW) in Beira and Harare International Airport (HRE) in Harare as well as between Maputo International Airport (MPM) in Maputo and Harare on 15 June 2016. As of 04 July 2016, the service will be consolidated to the Maputo <> Harare route, with three weekly operations on board Embraer ERJ145 aircraft. 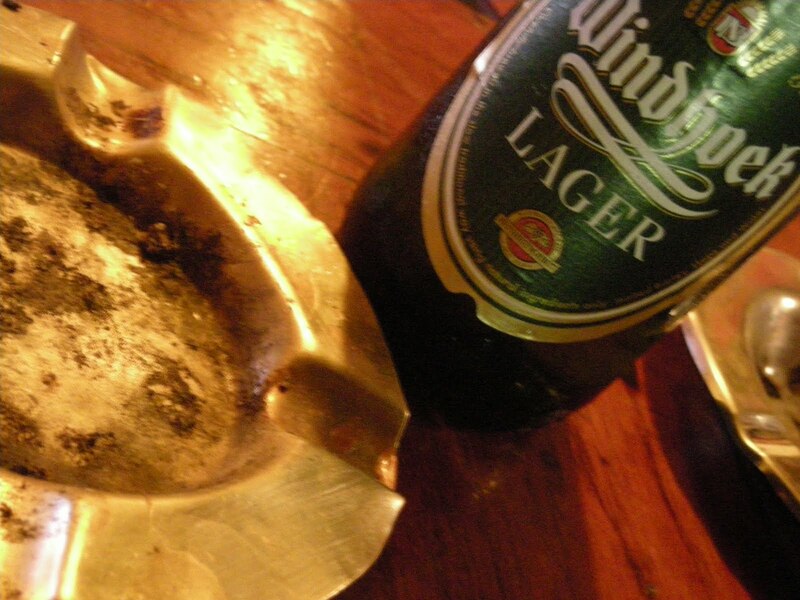 Cape Town named third cheapest city to buy beer in the world! Cape Town in South Africa has been named third cheapest city to buy, and of course to drink, beer in the world in the 2016 GoEuro Beer Price Index. According to GoEuro, the average price for a 33cl beer in a supermarket in Cape Town is 0.46GBP (0.59€/0.67$) and 2,12GBP (2.73€/3.07$) in a bar. The cheapest city in the world to buy beer is Bratislava in Slovakia (0.35GBP | 1.93GBP), followed by Kiev in the Ukraine (0.47GBP | 1.82GBP). Research for the 2016 Beer Price Index combines data from 70 cities from around the world and compares the average price of local beers between bars and shops, as well as comparing yearly average purchasing (South Africa: 379.72GBP) and consumption (South Africa: 98l). All prices were converted to Pound Sterling (GBP) using the Bloomberg exchange on 08 April 2016. 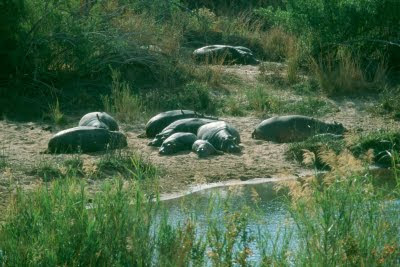 Kruger National Park: SANParks to enforce visitor access management during June/July holidays! South African National Parks (SANParks) is set to enforce the visitor access management for day visitors in the Kruger National Park during coming June/July holidays (24 June 2016 - 17 July 2016). Through the visitor access management SANParks aims to better manage the expected volumes of visitors, as well as to improve the visitors' expectations. SANParks has introduced three time slots, of which day visitos are able to choose from. It is advised to book a time slot prior to arrival, as pre-booked day visitors will get preference over non-booked day visitors at Kruger National Park's entrance gates. Day visitors who have booked will still be required to pay Conservation Fees or use a valid Wild Card to enter the Kruger National Park. All guests may be required to identify themselves upon admission (SA driver’s license, identity document or passport). Air Zimbabwe to resume flights between Harare <> London! Zimbabwe's flag carrier, Air Zimbabwe, is planning to resume flights between Harare International Airport (HRE) in Harare and London. The airline has applied for a route licence and is awaiting the UK authority's response. Once Air Zimbabwe got the green light to service the route, the date of resumption of flights on the Harare <> London route will be announced. Air Zimbabwe was forced to stop the service to London about four years ago after creditors in the UK threatened to seize the airline's planes over debts. Air Zimbabwe is now in talks with the UK air navigation agency to clear the US$2.8m debt. Johannesburg: The coffee spots of Braamfontein! 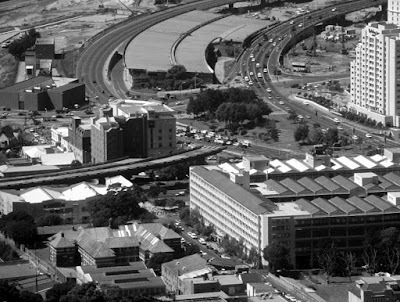 Braamfontein is one of the hotspots in Johannesburg you shouldn't miss. Colloquially known as "Braamies", the district has it all - theatres, museums, art galleries, clubs, restaurants and, of course, trendy coffee shops. Braamies [braamies.co.za], an online portal focussed on Braamfontein, produced two videos which take us on a trip through the various coffee spots in - according to Braamies - Africa's capital of cool, including Father Coffee, Bean There, Post, Double Shot, Velo Cafe and Daleah's. Kudos Brammies! Enjoy Braamfontein! Braamfontein Coffee Part 1 from Braamies on Vimeo. Braamfontein Coffee Video Part 2 from Braamies on Vimeo. Air Namibia to terminate flights between Windhoek <> Maun! Namibia's flag carrier, Air Namibia, will terminate operations between Hosea Kutako International Airport (WDH) in Windhoek and Maun Airport (MUB) in Maun in Botswana. The last flight will take off on 30 October 2016. Affected passengers are advised to contact Air Namibia in order to get accommodated on alternative flights or refunded. FlySafair to commence flights to & from Lanseria International Airport! South African low-cost carrier FlySafair has announced that they will beginn operating flights to and from Lanseria International Airport (HLA) in Johannesburg from August 2016. Flights to Cape Town International Airport (CPT) in Cape Town will commence on 01 August 2016, while flights to George Airport (GRJ) in George will start on 05 August 2016. FlySafair will operate two flights per day (three from 30 Oct 2016) between Lanseria International Airport and Cape Town and one daily flight between Lanseria International Airport and George. Lanseria International Airport (HLA) is a privately owned international airport situated north of Randburg and Sandton to the north west of Johannesburg. Video: Port Elizabeth from above! Are you planning to visit Port Elizabeth while travelling through South Africa? The following video by Chasing the Rainbow shows you what the city looks like - from a bird's eye perspective! Enjoy! Kudos Sarah, Ralph, Jacob and Cian! Outeniqua Choo Tjoe steam train: Track repair begins on George <> Knysna railway line! update (24 August 2016): The Knysna-Plett Herald wrote on 11 Aug 2016 (online edition) that teams of people (are) clearing the railway line between the Knysna station and Keytersnek and that a team of engineers have been in Knysna this week (wk 32) to inspect the bridges over the Knysna estuary! Fantastic news! 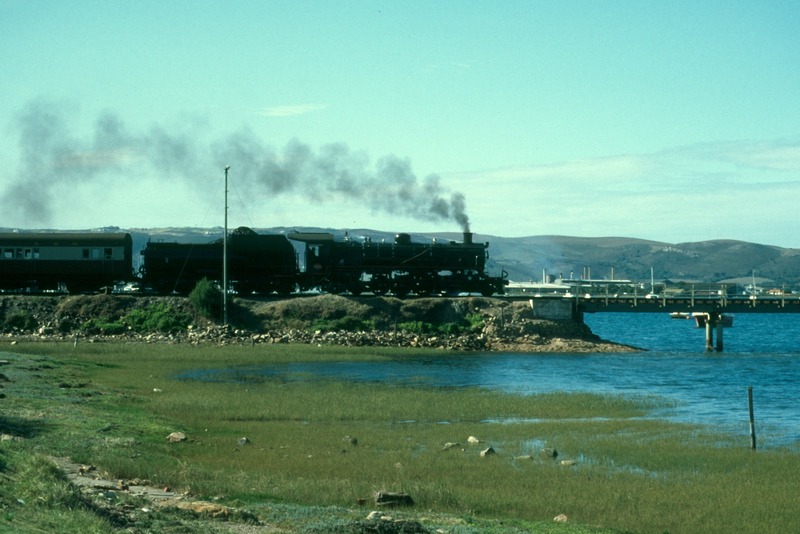 According to various news reports, Classic Rail Garden Route, a private initiative to preserve classic rail in South Africa's Garden Route and Klein Karoo, has received the green light from Transnet Freight Rail (TFR) to start restoring the Outeniqua Choo Tjoe train service between George and Knysna. In the first phase, the track line between Knysna and Keytersnek, near the Rheenendal turnoff on the N2, will get repaired and four dining carriages and two freight cars, which will be converted to open viewing carriages, will get restored. It is expected that the Knysna Dinner Train, one of the Classic Rail Garden Route's first projects, will be running between Knysna and Keytersnek by December 2016. Once the first phase of the development is up and running, work on the second and the third phase will begin. These will include the reopening of the track line all the way from Knysna to George for the New Outeniqua Choo Tjoe, as well as for other tourist trains and, ultimately, freight trains by 2020. The George <> Knysna railway line has been out of commission since 2006, when flood damage forced the closure of the popular Outeniqua Choo Tjoe steam train between Knysna and George. We'll keep you posted! Malawi to build a new airport in Blantyre! Malawi plans to build a brand new international airport in Blantyre, which will replace the existing Chileka International Airport (BLZ). The country's president Peter Mutharika also announced that the country has further plans in place to refurbish Kamuzu International Airport (KIA) in Lilongwe. The renovation of the airport, which will include major rehabilitation and maintenance to revitalise and expand the terminal building as well as the installation of new equipment such as an aircraft surveillance system, is expected to start in 2016 and completed in 2018. We'll keep you posted! Zimbabwe: Victoria Falls is planning to rename all its 86 streets! Victoria Falls (Zimbabwe) is planning to rename all its 86 streets and roads. According to Victoria Falls' town clerk Christopher Dube, a committee has been formed "to spearhead the streets renaming process" which is expected to end at the end of June 2016. The city council already decided to rename Livingstone Way to Robert Mugabe Way and Park Way to Joshua Nkomo Way in March 2015, but is still waiting for the government's approval. As of now, the old sign posts in Victoria Falls are still up. We'll keep you posted! Cape Town: MyCiTi launches free WiFi offering! MyCiTi, the high-quality bus-based transit system in Cape Town, has launched a pilot phase of free WiFi provision on 10 of its buses. The new service provides each passenger with 50MB of data free every day from any WiFi enabled device (smartphone, tablet, laptop) as well as with free value-added content, such as news, weather and other multimedia, over and above the daily 50MB data limit. Once the daily cap is reached, passengers can purchase additional data using a credit card. Users who have an existing internet account at home that includes access to public WiFi hotspots, such as AlwaysOn, G-Connect and MWEB, can simply log in for internet access. All 10 MyCiTi buses equipped with the new WiFi service have "WiFi available here" signs. If you want to use the free WiFi service, enable WiFi on your device, connect to "Vast", and choose "Complimentary Access". You will be required to complete a short registration form the first time you access the WiFi. Cape Town: New plans for the "Unfinished Bridge"! The Foreshore Freeway Bridge, also known as Cape Town's Unfinished Bridge, was build in the 1970s, but got never completed. It actually stands in its unfinished state since construction officially ended in 1977. According to the Cape Town's major Patricia de Lille, the City of Cape Town now has plans to finally finish the project and connect the Foreshore Freeway Bridge to the road that runs on to the N1. Later in June 2016, Patricia de Lille will make an announcement on this matter to provide clarity regarding Cape Town's infamous landmark. We'll keep you posted! Zimbabwe: Cash withdrawals with international bank cards currently not possible! update (07 Dec 2017): According to the latest update of the Foreign travel advice - Zimbabwe (29 Nov 2017) by the Foreign & Commonwealth Office (UK), Zimbabwe is still experiencing a shortage of cash and it is therefore not possible to make cash withdrawals using an international bank card. It is advised to have sufficient funds in US dollar notes for your visit. update (09 Nov 2017): According to the latest update of the Foreign travel advice - Zimbabwe (18 Sept 2017) by the Foreign & Commonwealth Office (UK), Zimbabwe is still experiencing a shortage of cash and it is therefore not possible to make cash withdrawals using an international bank card. It is advised to have sufficient funds in US dollar notes for your visit. update (13 Oct 2017): According to the latest update of the Foreign travel advice - Zimbabwe (18 Sept 2017) by the Foreign & Commonwealth Office (UK), Zimbabwe is still experiencing a shortage of cash and it is therefore not possible to make cash withdrawals using an international bank card. It is advised to have sufficient funds in US dollar notes for your visit. update (20 Sept 2017): According to the latest update of the Foreign travel advice - Zimbabwe (18 Sept 2017) by the Foreign & Commonwealth Office (UK), Zimbabwe is still experiencing a shortage of cash and it is therefore not possible to make cash withdrawals using an international bank card. It is advised to have sufficient funds in US dollar notes for your visit. update (11 July 2017): According to the latest update of the Foreign travel advice - Zimbabwe (25 May 2017) by the Foreign & Commonwealth Office (UK), Zimbabwe is still experiencing a shortage of cash and it is therefore not possible to make cash withdrawals using an international bank card. It is advised to have sufficient funds in US dollar notes for your visit. update (30 June 2017): According to the latest update of the Foreign travel advice - Zimbabwe (25 May 2017) by the Foreign & Commonwealth Office (UK), Zimbabwe is still experiencing a shortage of cash and it is therefore not possible to make cash withdrawals using an international bank card. It is advised to have sufficient funds in US dollar notes for your visit. update (26 May 2017): According to the latest update of the Foreign travel advice - Zimbabwe (25 May 2017) by the Foreign & Commonwealth Office (UK), Zimbabwe is still experiencing a shortage of cash and it is therefore not possible to make cash withdrawals using an international bank card. It is advised to have sufficient funds in US dollar notes for your visit. update (18 May 2017): According to the latest update of the Foreign travel advice - Zimbabwe (16 May 2017) by the Foreign & Commonwealth Office (UK), Zimbabwe is still experiencing a shortage of cash and it is therefore not possible to make cash withdrawals using an international bank card. It is advised to have sufficient funds in US dollar notes for your visit. update (16 March 2017): According to the latest update of the Foreign travel advice - Zimbabwe (14 March 2017) by the Foreign & Commonwealth Office (UK), Zimbabwe is still experiencing a shortage of cash and it is therefore not possible to make cash withdrawals using an international bank card. It is advised to have sufficient funds in US dollar notes for your visit. update (10 March 2017): According to the latest update of the Foreign travel advice - Zimbabwe (08 February 2017) by the Foreign & Commonwealth Office (UK), Zimbabwe is still experiencing a shortage of cash and it is therefore not possible to make cash withdrawals using an international bank card. update (23 February 2017): According to the latest update of the Foreign travel advice - Zimbabwe (08 February 2017) by the Foreign & Commonwealth Office (UK), Zimbabwe is still experiencing a shortage of cash and it is therefore not possible to make cash withdrawals using an international bank card. update (24 January 2017): According to tourismupdate, in Victoria Falls only Barclays Bank and Standard Chartered banks accept foreign cards. update (09 January 2017): According to the latest update of the Foreign travel advice - Zimbabwe (27 November 2016) by the Foreign & Commonwealth Office (UK), Zimbabwe is still experiencing a shortage of cash. It is still not possible to make cash withdrawals using an international bank card. update (07 December 2016): According to the latest update of the Foreign travel advice - Zimbabwe (27 November 2016) by the Foreign & Commonwealth Office (UK), Zimbabwe is still experiencing a shortage of cash. It is still not possible to make cash withdrawals using an international bank card. update (17 October 2016): According to the current Foreign travel advice - Zimbabwe (06 September 2016; still current at 17 October 2016), Zimbabwe is still experiencing a shortage of cash. It is still not possible to make cash withdrawals using an international bank card. update (16 September 2016): According to the current Foreign travel advice - Zimbabwe (06 September 2016; still current at 16 September 2016), Zimbabwe is still experiencing a shortage of cash. It is still not possible to make cash withdrawals using an international bank card. update (19 August 2016): According to the current Foreign travel advice - Zimbabwe (07 August 2016; still current at 19 August 2016), Zimbabwe is still experiencing a shortage of cash. It is still not possible to make cash withdrawals using an international bank card. According to an update of the Foreign travel advice - Zimbabwe (07 June 2016) by the Foreign & Commonwealth Office (UK), it is not currently possible to make cash withdrawals with an international bank card in Zimbabwe. Travellers should make sure that they have sufficient funds in US dollar notes on them when visiting Zimbabwe. In addition, it is illegal to leave the country with more than $1,000 (or equivalent) in cash. It is also illegal to exchange foreign currency anywhere other than at officially licensed dealers (eg, banks). Cape Town: Iziko South African Museum to exhibit the winning images from Nature’s Best Photography (NBP) Africa 2016! The winning immages from the 2016 edition of one of the most prestious African nature focused photographic competitions in the world, the Nature's Best Photography (NBP) Africa, will be exhibited at the Iziko South African Museum from 22 June 2016 until 25 September 2016. The competition, which consists of 12 categories, invites photographers from across the globe to submit their images, taken in Africa, for judging by an expert panel of judges. The Iziko South African Museum is located in the Company's Garden in Cape Town. It houses more than one and a half million specimens of scientific importance. The collections range from fossils almost 700-million years old to insects and fish caught last week. The Museum's operating hours are daily (except for Worker's Day and Christmas Day) from 10:00 - 17:00. The entrence free is R30 (adults), R15 (6-18 years, SA students and pensioners). RwandAir to launch flights between Kigali <> Harare before year end! update (22 Nov 2016): Rwandair just retweeted a tweet by the Civil Aviation Authority Zimbabwe (CAAZ), in which the two institutions confirm the "imminent launch" of flights between Kigali International Airport (KGL) in Kigali and Harare International Airport (HRE) in Harare. According to various news reports, the Civil Aviation Authority of Zimbabwe (CAAZ) expects RwandAir to launch scheduled services between Kigali International Airport (KGL) in Kigali and Harare International Airport (HRE) in Harare before year end. The airline was initially expected to start Harare flights in 2014. We'll keep you posted! South Africa's most punctual domestic airlines in May 2016! Airports Company South Africa (ACSA) has published the on-time performance results of domestic airlines’ flying out of OR Tambo in Johannesburg, Cape Town International Airport, and Durban's King Shaka International Airport in May 2016. Emirates to increase Dubai <> Cape Town service!